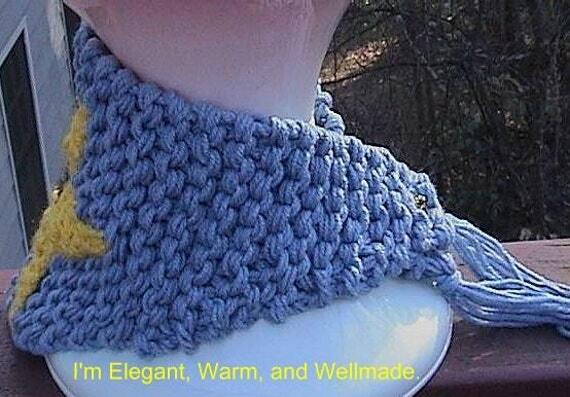 This neckwarmer was lovingly handknitted by me. The yarn is country blue, and is tightly knitted and very warm. It can easily be adjusted to your neck size by inserting the unique COUNTRY BLUE BEADED button through any of the knitted stitches. Just slide it through. 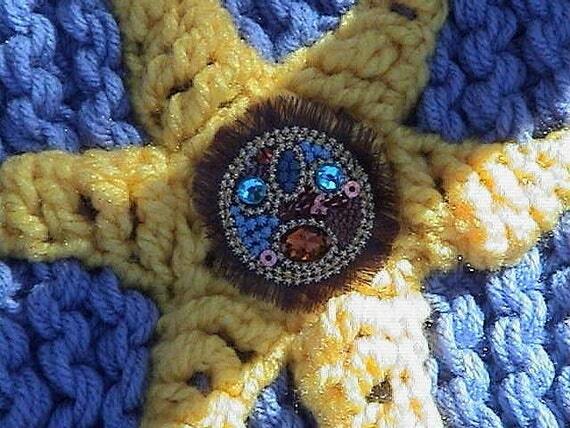 I added the large crocheted star and the beaded embellishment on the back for femininity. Not scratchy. 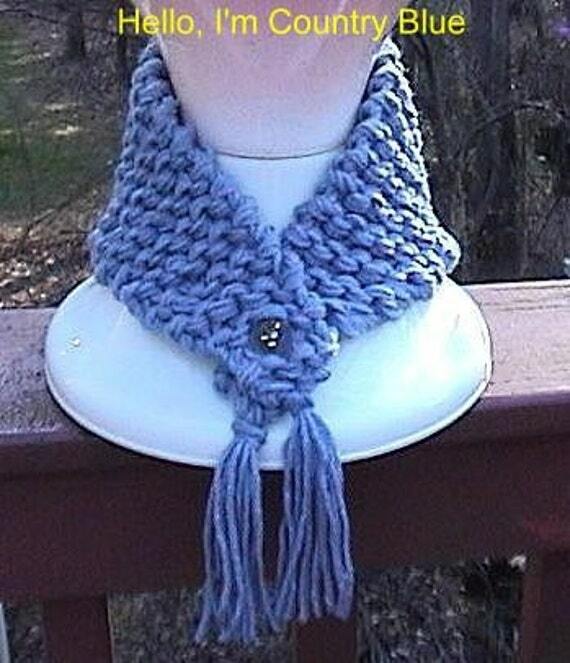 This neckwarmer is hand or machine washable on a delicate cycle.